Recently, I had the honor of appearing on the Stories for Nerds Podcast, co-hosted by my old friend, Raphyel Jordan. The podcast can be found here. I met Raphyel as Superstars Writers Seminars about four years back, and always make a point of meeting with him at DragonCon every year since. This year, over dinner, I was told about the podcast he was running. It seemed to be quite popular, since they were booked up for the rest of the year. I asked about going on, and was told they could possibly get me on at the beginning of 2018. It happened, and the Podcast can be found online, going up today, along with my interview and a blog I wrote about magical weapons and artifacts. Forward to 2018, and we set a possible date of late January/early February. I was planning a book release for January, the fifth book of the Refuge series. Not my most popular series, but the people who like it seem to really like it. I filled out the interview form they would post and checked out my equipment for my second ever podcast. Now, I’ve done one in the past, an interview on the changing landscape of publishing hosted by Moses Siregar. My friends Kevin J Anderson and David Farland were also featured on that cast. We had a lot of problems on that one. Firstly, my computer didn’t link properly, or Skype wasn’t connecting, or something, and I had to attend by phone. Then the roofers I didn’t know about showed up (I rented, and the landlord made no mention of putting on a new roof) and we had the sound of men scrapping the old tiles off. Still, it went forward, and I think it went well, all things considered. Now I have my own house, and anyone on my roof during a podcast is an intruder, and will be dealt with as such. I was ready to go on. I had my expensive gamer headphones that I never use, my camera plugged in, all tested and working. I connected to Raphyel through Google Hangouts and his smiling face appeared on my screen. On his end, nothing. I brought out another set of headphones and a separate mic, and still, nothing. Finally I got my camera working, and the other hosts were on. I could see them. Eventually I could even hear them, but they still couldn’t hear me. Great, I thought. Raphyel handed me an opportunity and I blew it. The clock was ticking. I was supposed to go on at 10 PM, Abby and Scott, the co-hosts, were ready, and I was dropping the ball. There was some message about my mic being blocked. Finally, I unplugged my mic and headphones, and everything worked. Unknown to me, the camera had a mic in it, and it connected up just fine. So we were off, at 10:30PM. Since the podcast wasn’t live (something I didn’t know when I first logged on) we were fine, and I found out that I wasn’t the first person who had problems getting on. But it was happening. The podcast wasn’t all about me. They had other segments, news, opinions. I thought all of the hosts were interesting people. I wouldn’t mind hanging out with them at Cons. After the initial problems it went very well. Maybe I might be invited back, if I promise to keep my tech simple. I hung out with the team for about a half an hour after the cast, just talking. I have to be glad I don’t have a lot of internet friends I can sit and talk to online, or I wouldn’t get anything done. Facebook is bad enough. So, go check out my friends’ podcast and site, Stories for Nerds, for all the latest news in books, movies and sports. Well, maybe not sports. But all the stuff we nerds like. Coming soon, Theocracy: Book 2. Also, I will be starting a Youtube channel with travel videos, movies of my workspace, and lots and lots of cats. I will be travelling to Nevada, to travel around that state, Utah and Arizona, filming my travels to put on the you tube channel. Stay tuned. Refuge: Book 5: Angels & Demons is out on Amazon. After a two-year delay, the next book of the Refuge series is out. It can be found on Amazon.US and Amazon.UK, as well as every other Amazon site around the world. I love writing this series. I really thought it would be my breakout series when I wrote the first one, back in 1997. I did the research, I did the maps, I put down a million words of background in a Treepad document, which I still have by the way. It was too long, I wasn’t a good enough writer, and I got scammed by an agent on it. I had already started book two when the scam blew up in my face and I was over $300 poorer. In 2007 I wrote Doppelganger, an attempt to get Refuge into the traditional ranks by writing a tighter story of under 100K words. From the replies I got back, they seemed to miss the point, thinking it was just a Lord of the Rings Wannabe (the references to Earth didn’t seem to make it through their filters). In 2010 I wrote Refuge: The Arrival, going back to the untold origin story, blending magic with technology. The book was too long, so I split it in two. It did well, in fact, most of the independent authors I know would have loved to have the sales it had. Over five thousand for both books 1 and 2. Meanwhile, I had done the same with Exodus: Empires at War, splitting the too long book. Exodus: Book 1 sold over twenty-five thousand copies, book 2 almost as many. As said, I love this series, and had planned to write twenty books or more in it. It was to build to a world war between the immortals, good and evil. I had stories set through the centuries as the Empire of Free Nations grew, and the Tarakesh Empire on the southern continent expanded as well. There were stories planned of expeditions to other continents, to the wild areas of the world. But then reality set in. I spend the same amount of time writing a Refuge book as I do working on an Exodus book. If I spend three months on and off on a Refuge book I can plan on making between $4,000 and $6,000 on it. An Exodus book can make from $15,000 to $25,000. For the same amount of time spent. If I was only writing for fun, or as a hobby, I would write the entire Refuge series. I do this for a living, so I need to concentrate on series that give me the greatest return. 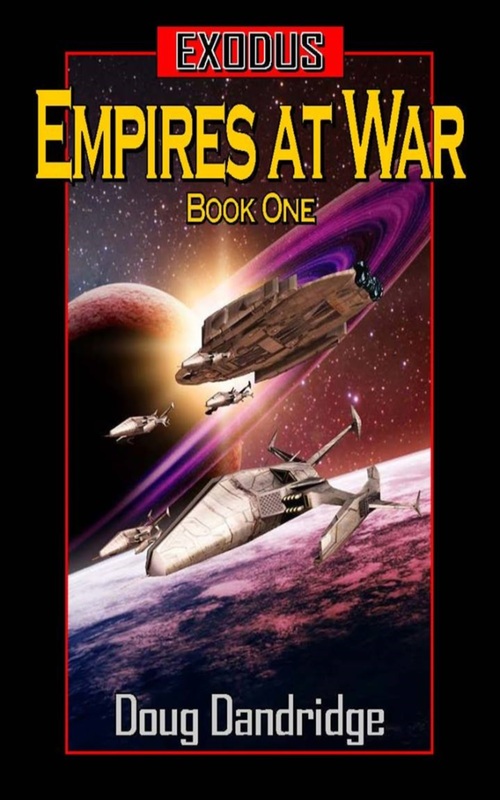 Exodus: Empires at War and Machine War pay the bills. I have had some dedicated Refuge fans begging me to put out another book, but I never seemed to find the time with all of my other projects. And now I have a traditional project, signed and sold, soon to be delivered. I finally broke down to turn out Book 5. And I will be doing a book 6. Unfortunately, that will probably be the last book of the series. I will be able to wrap up the current storyline, and possible leave some hints for future books that may or may not be written. Only time will tell. The Emperor lurched to his feet, growling in anger like a rabid animal. He had hoped the fort wouldn’t fall, and the enemy would be delayed in crossing the river. Now he knew that was a false hope. There was no way they could have stopped the enemy, only delay them. They could still delay them with the final tower. It would not be easy to take, but these humans had proven they could do the impossible, so the difficult would happen sooner or later. Probably sooner. “Leave,” ordered the Emperor. Relief flashed across the face of the messenger, and he staggered up to his feet. Moments later the summoned man entered, his red robes fresh and spotless, as befitted someone in his position. Still, the man smelled of death, an odor that no amount of bathing could get rid of. “We are, my Lord,” said the man in a sibilant voice, his eyes locked on the emperor’s. This was a man who feared no one but the gods he served, and for good reason. He was the most powerful necromancer in the Empire, after the Emperor. And even the Emperor couldn’t do without the power of the man and his minions. The Emperor felt a thrill run through him at the thought. There were very few beings more powerful than a greater demon. Those that were could defeat armies by themselves, or so it was said. “Then do it,” said the Emperor, a cold smile playing across his face. “Fire,” yelled the gun captain. With a short but loud hiss, the cannon released its projectile, a cloud of steam following it from the muzzle. The projectile flew toward the door, moments after a shimmering field appeared in front of the hard metal portal. The ball struck the shimmering field and slowed to almost a stop, hitting the portal and bouncing away without leaving a mark. “It’s one of those damned inertia fields,” said Delgado, looking over at Levine. “Your weapons have blown through them before,” said the old immortal. “And they were traveling at a much higher velocity than these things,” said the general, looking over the battery of guns set up in the courtyard. He was glad they had the guns, and he expected big things from them in the future. But they weren’t as good as the one hundred twenty millimeter guns of the tanks, or even the lower velocity howitzers. “Maybe the mages can help,” said Levine, waving a hand to attract the attention of Drake and the rest, who were sheltering behind the shields of an infantry company in reserve. Delgado looked over as the mages, the once mentally ill of Earth, came running over, men with shields moving between them and the enemy. He still didn’t trust all of them. The young physicist, Drake, was trustworthy. The woman, Heidle, had almost destroyed the Refuge valley with her tornadoes, at the same time the enemy dragon fleet was threatening them with destruction. She had lost her mind, mad with power. Supposedly she had recovered, and had not slipped into madness again. But once a madwoman, always a madwoman, as far as he was concerned. “You wanted us over here, General Levine?” asked James as they came up behind the guns. “Katherine could probably just send a tornado at them,” said one of the other mages. “That I will not do,” said the woman, a horrified expression on her face. No, she won’t, thought Delgado. That kind of display of power could send her tumbling back into the realm of madness. He would as soon cut her throat now than risk his army to one of her rages. “I…don’t know,” said Katherine in a soft voice. The gun crew nodded and went about their preparations, loading the water into the chamber, then setting the trigger with the glowing gem. As soon as the ball was shoved down the barrel they turned and looked at the weather mage. Katherine had meanwhile been whispering words under her breath, whether as a spell or simply to focus her thoughts, no one could tell. She opened her eyes, which were now a glowing blue, with hints of the dark white of storm clouds. A wind started to rise, first a gentle breeze, rising to a light gale, then rising until it was shrieking around the guns. Men cowered, holding onto their helms, many closing their eyes. She gestured at the gun several times, a flash of energy leaving her hands to impact the cannon. The gun fired without the captain having to pull the lanyard. The ball flew from the barrel, kicked into motion by the wind that increased its speed slightly, only to hit the field and die in the air, bouncing from the door without leaving a mark. “Well, that didn’t go well,” said Delgado, glaring at the door, then looking over at the woman. Katherine nodded, then moved next to another gun, this one already prepared to fire. She went through the same motions once again, and yet again the gun fired without any need of a crew. The ball barely made it through the barrier to bounce from the door. “Again,” said James, pointing to the next gun over. “I’m not accomplishing anything,” she complained, shrugging her shoulders. “And you won’t if you don’t try,” said James. Katherine nodded once again, and performed her magic with the third gun. Again the ball barely made it through the field. “It’s got to be weakening the magic,” said Levine hopefully. Delgado didn’t see it. So far she had sent three balls into the field, and the door seemed to be laughing at her efforts. The fourth ball seemed to pick up more of the wind, and hit with a noticeable clang as it bounced from the door, still without noticeable effect. “She did better that time,” said Levine. 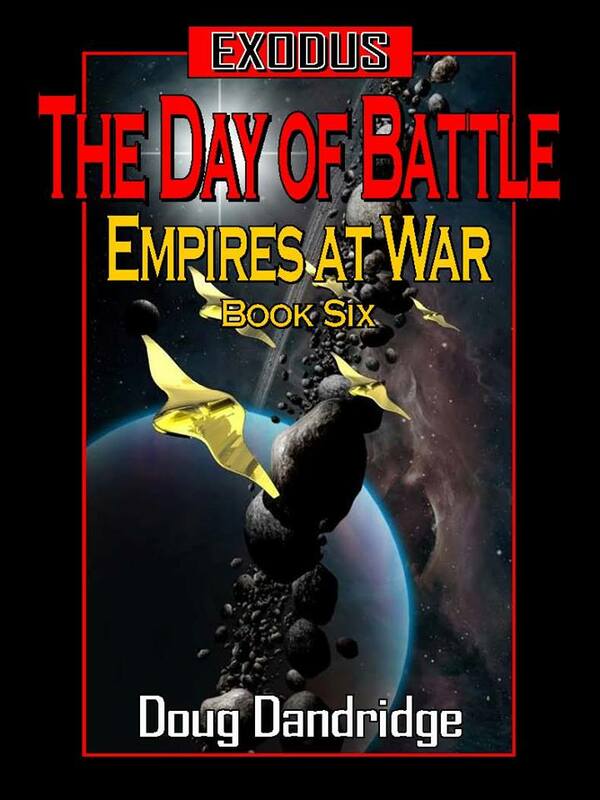 Drake shot an angry glance at the general, and Delgado felt a shiver run up his spine. The young mage could turn him into a pile of ash in an instant, and his army would not be able to do anything to prevent it. He shook his head at the thought. Drake was not a murderer, nor would he use his fire magic against the army, but it was still frightening to be around people of such power, useful though they were. The fifth gun went off, and this time a concentrated gust of wind kicked it in the rear, slamming it through the inertia field and actually putting a dent in the door. The sixth gun did even better, and the door shook from the hit. The first gun had been reloaded. Now archers from the tower were showering the gun positions with arrows, trying to stop the assault. A glowing wall appeared before the guns, and every shaft that entered it turned to ash, to shower slowly to the ground, while their heads dropped as half molten objects. Katherine used the gun, and this time the inertia field dropped like it ran out of power. Delgado thought it probably had, since mages had to put energy into constructs like that, and each assault used up some of that power. The second gun fired, and a highly concentrated blast of wind caught it and flung it into the valve they had been attacking. With a high shriek of tearing metal one of the hinges ripped away, and the door leaned out on the remaining sagging point of contact. “Get the men ready to rush the door,” ordered Delgado, looking back at his aide. Another gun went off, this time battering the door that first flew back into its frame, then fell outward until it was halfway to the ground. The next shot finished the door, which fell to the ground with a clang. “About time I earned my keep,” said Levine, pulling his sword from his sheath and jumping over the embrasure the guns had been set behind. He trotted toward the tower, the assault company at his back. That was when a sound like sails booming in the wind came to them, and every eye looked up. Delgado felt his knees weaken as fear rushed through him at the sight of what was dropping from the sky. A huge humanoid creature, at least ten meters tall, with another meter of horns protruding from the head. Red skin, with wings that flared out twenty meters. The general had seen demons before. His tank brigade had run into them when they first got to the planet. They had killed the ones they faced, though he had lost men and vehicles to them. But this thing looked a whole lot deadlier, and his people no longer had one hundred twenty millimeter guns to fire at them. People started yelling, and men panicked, running furiously for cover. Levine set his feet and looked ready to fight, but the general was not sure that even the immortal could handle this creature. The general wasn’t sure why the enemy had waited this long to deploy this weapon, but he saw his campaign going down in ruin if they couldn’t stop it. Commodore Steffan Hauser stared in disbelief as two huge forms dropped from the sky, their flapping wings slowing their progress. One was coming down on each side of the river over the two forts. Neither seemed to have noticed his small flotilla of six galleys, a fact for which he was truly thankful. Each ship had a large ballista aboard, and he might be able to put a heavy shaft through them, with luck. He doubted there was that much luck in the world. “If only we had some cannon,” said Lieutenant Jeff Bridges, the commanding officer of the vessel. If only, agreed the commodore in his thoughts. But there weren’t enough of them, and the army got what was available. To the commodore it made sense to arm the galleys, at least a couple of cannons per ship. So far, the ram-equipped galleys had been more than a match for any of the river craft of the Empire, so guns had not been needed, but against a demon? Screams and yells started to echo over the water, and Hauser crossed himself like the good Catholic he was. His faith might not save his life on this planet, but it would save his soul.